We wish you the happiest of Thanksgivings! We don’t often take time out on the holidays to send warm wishes to our readers, but I thought I’d take a minute today to thank you. We’re so grateful to be able to make the art that we love and that’s only possible by having amazing customers who are willing to pay for it and fund our art and adventures! With so many unemployed and struggling financially, we’re just feeling very grateful for how blessed we are. Thank you, thank you, thank you! It’s kind of funny, Holly and I have been married for almost 9 years now, but we still don’t have a lot of traditions of our own. Do you have any that you just love and would recommend us adding to our very short list of Sangree family traditions? We’d love to hear them! Here’s a little photo greeting from our household to yours. Some of you know we started fostering English Mastiffs this year, and after a few months with this big boy, we just couldn’t stand the idea of losing him, so we adopted him! Meet Tank “Chupadogra” Sangree — all 185 pounds of him! He’s a gentle giant with the kids, but we love his protective instincts that come out at appropriate times. 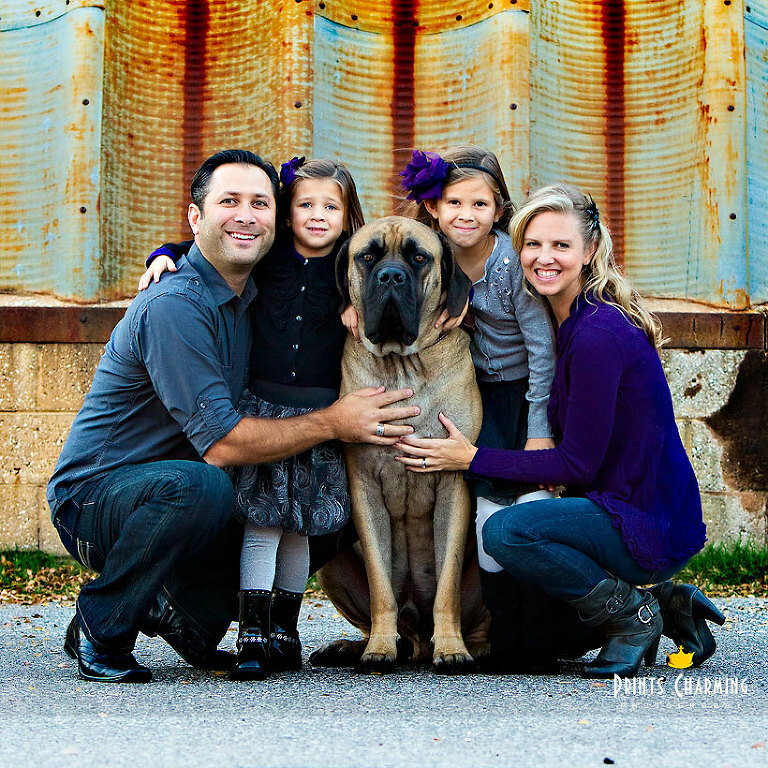 =) If you don’t know much about Mastiff’s here’s a great resource for breed info, and a big shout out to the Great Plains Mastiff Rescue who unites families with Mastiffs in need all year ’round.